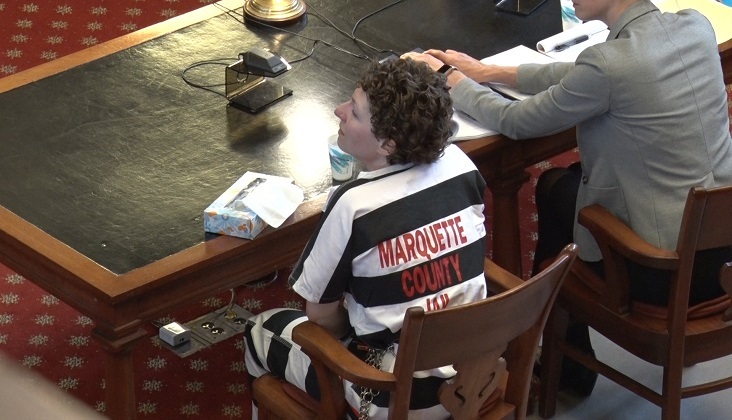 MARQUETTE — A former Northern Michigan University professor appeared in Marquette County Circuit Court today for her sentencing. 33 year old, Amber Rae Suggitt pleaded no contest to one count of kidnapping, one count of torture and one count of assault with intent to commit criminal sexual penetration back in May. Suggit was sentenced to 3 different counts, including one count of torture with a minimum of 17 years to a maximum of 30 years. Kidnapping with a minimum of 17 years to a maximum of 30 years. Assault with intent to commit criminal sexual penetration with a minimum of 4 years and 9 months to a maximum of 10 years. Suggit has credit for 512 days. These charges will be served consecutively. The victim of these charges spoke out in court today via skype. Suggit decided not to speak out in court today.